It’s a bit of a shame that I never bought a newspaper while I in Havana. Even if it was in Spanish and I could barely understand anything in it, I’m sure it would have been interesting to get a glimpse into what’s important to Cubans. On the other hand, I doubt the news could be anywhere near as interesting as the man selling it. 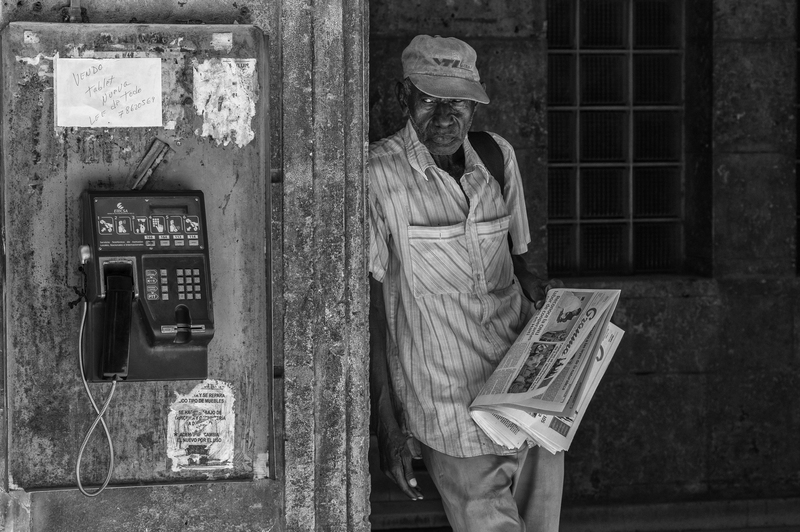 This is definitely one of my favourite street photos from Havana. Mark Iocchelli is an Edmonton, Alberta, Canada fine art photographer specializing in images of the Canadian prairies, urbex (urban exploration), rural decay, homesteads, abandoned farm houses, barns, automobiles and machinery. Signed, limited edition prints of the images you see here are available upon request.